Take a staycation on Long Island’s North Fork. Even if April isn’t warm, per sé, it’s still the perfect month in which to stage a not-quite-getaway. The crowds out east are thin, the roads still nearly empty. Which means more time, space, and attention for those willing to dedicate an offseason weekend to the North Fork. Beach weather is on the horizon, yes, but, in the meantime, enjoy what spring has to offer! The season of winetasting is here, and though the buds may still be dormant (depending on the weather), April is a wonderful time to get outside. With fewer guests to cater to, wineries are thrilled to have the company—and are more likely to offer you their undivided attention. 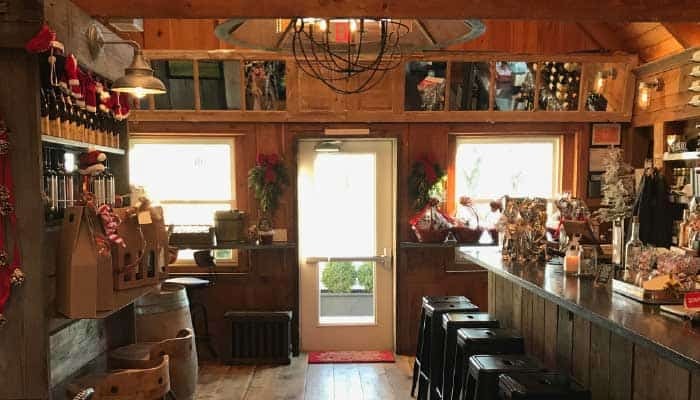 In Greenport, visit Kontokosta Winery, a spectacular, water-adjacent property with sweeping vistas and delicious wines. This sun-drenched tasting room is a dazzling display of a marriage of wine and aesthetics. While you’re in Greenport, book a room at The Lin Beach House, a lavish-yet-cozy hotel that embraces bohemian décor. The Beach House has five suites available, as well as a bar, which is open from 5 p.m. to midnight, Thursdays through Saturdays. The specialty cocktail list rotates nightly, and local wines are always prominently featured. 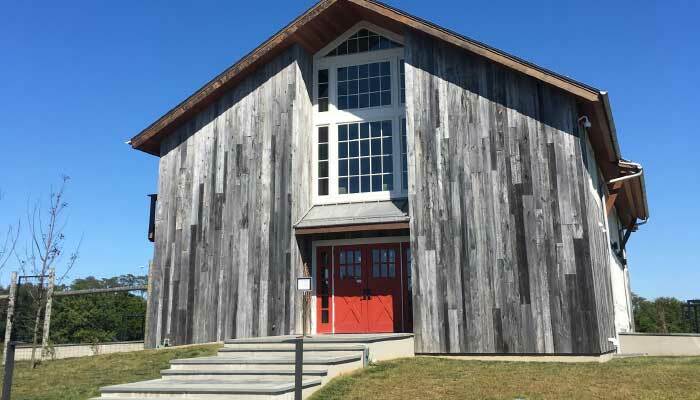 The hotel’s sister property, Matchbook Distilling Co., is ten minutes away. For dinner, Stirling Saké offers incredibly fresh, inventive, and smart sushi, as well as ramen, udon, donburi, and, of course, a dizzying selection of saké, appropriate for entry-level appreciators, as well as rice wine connoisseurs. At Shinn Estate, the winery once owned by Barbara Shinn and now owned and operated by Randy Frankel and family, a completely renovated duo of tasting rooms is as cozy as it gets for the season. In one room, custom millwork runs wild, with a long, wooden bar operating as the room’s centerpiece. A separate room boasts Chesterfield sofas, a fireplace, and custom coffee tables fashioned from old wine barrels — a warm antidote to a crisp early spring afternoon. Guests can stay, too, at an accompanying farmhouse, a bed and breakfast where the property’s wines are on full display. You won’t need to go far, since Shinn serves plentiful snacks and, of course, all the beverages of one’s dreams, but if you do venture out into Mattituck, it’s worth stopping at A Mano, chef Tom Schaudel’s ode to Italy, where fresh pastas and pizzas are the name of the game. Before your staycation ends, be sure to stop in for some bubbly (and maybe a little cheese and caviar, if the mood hits) at Sparkling Pointe, the premier destination for sparkling wine. This winery produces méthode Champenoise wines that rival some of the world’s great sparklers. And while sparkling wine may feel like the beverage of celebration, there is plenty of celebration to be had in the every day. Which is to say: Even a staycation can be worthy of a toast. So raise a glass to the North Fork, where April is an excellent time to visit.